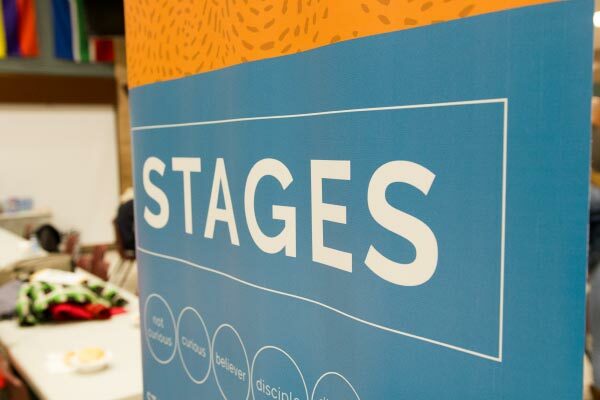 STAGES is a disciple-making pathway that allows anyone to find where they are on their journey and move forward. Almost everything in life that we do has a clear path towards progression. Our desire is that everyone who desires to grow in Jesus meets with a mature Christian regularly so they can grow in their faith. To do this, we have a discipleship tool called STAGES. If you are interested in being discipled, please visit our STAGES ASSESSMENT TOOL and someone from Fellowship Pickering will be in touch with you shortly. Are you making disciples? Find resources for each stage to help someone on their journey of following Jesus.